Introducing a capital gains tax on rental properties will have a detrimental effect on both the rental market and house prices in the long-term, property investors warn. The Tax Working Group’s recommendation that a capital gains tax should be introduced on a range of assets, including rental properties, has prompted outrage from many investors. While the TWG believes that, on balance, a capital gains tax will lead to "some small upward pressure on rents and downward pressure on house prices”, investors have a different view. 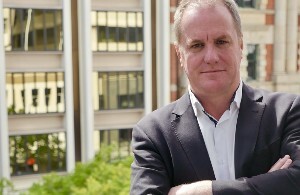 NZ Property Investors Federation vice president Peter Lewis says a capital gains tax will not impact on the property market in the way that the TWG is expecting. He says many investors will sell up their rental properties before the tax regime changes and this might lead to some short-term decrease in prices. “But far more people live in rental properties than in owner-occupier properties so it won’t help with the shortage of rental accommodation and that will place upward pressure on rents. Veteran property investor Olly Newland, who describes the recommendations as a “dog’s breakfast”, agrees. He says a capital gains tax would have a detrimental effect on the rental market overall and it won’t make the housing market any more affordable. “People will look for ways around the tax. So instead of investing in assets like rental property or shares, they will lock their money into family homes and lock in their capital gain that way. According to the TWG, the capital gains tax recommendation is driven out of concern about fairness in the tax system, but most investors take a different view. Property commentator Ashley Church says the fact that the TWG has recommended a capital gains tax should be set at an individual’s marginal tax rate, which could be up to 33%, is very aggressive. He too says it will have a terrible effect on the rental market at a time when it is continuing to struggle with major supply shortages. For prominent Auckland investor David Whitburn, the recommendation is far more extreme than he would have expected and reeks of the politics of envy. He doesn’t believe the general public will support a capital gains tax that is as broad as proposed and points to recent polls showing a large majority of people, including Labour voters, as opposed to one. “I think they have misread the electorate if they think it will fly. People might have warmed to it if was solely targeting property investors but it’s not. It will apply to assets like the family bach and farms too. Whitburn adds that if the Government is serious about weeding out property speculators, but rewarding good long-term landlords, it could simply extend the bright line tax to 10 years. All of those interviewed thought that introducing a capital gains tax was likely to be electoral suicide for the Coalition Government. Most also questioned whether the recommendation would even be adopted by the Government, given NZ First’s long-stated opposition to the idea of a capital gains tax. But Church says the idea of a capital gains tax must have been canvassed in the Coalition agreement talks so the odds are NZ First will agree to some form of one. He thinks the TWG’s recommendations are likely to be a more extreme version of what the Government eventually goes with. Rental properties are purchased with income already taxed. Now they want to tax the gain funded by tax-paid income. Unbelievable! So the TWG, in its 'wisdom' has apparently made no allowance for things such as inflation and the increasing value of a house as a result of extending it. So if a person has vacant land and builds on it, they pay CGT on the cost of the new build as well as the inflation on the land? You have got to be joking! !